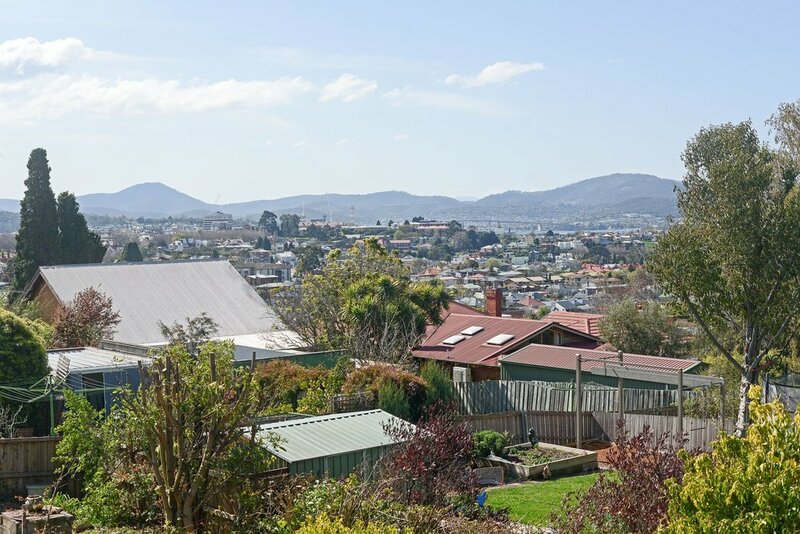 This Californian bungalow has 180° views encompassing Mount Wellington, much of inner Sandy Bay, Battery Point, the Derwent River and Eastern Shore. This is a wonderful opportunity to acquire this character home in a sought after location. The single level home comprises a wide portico with entry into a central passage way, three double bedrooms, formal lounge, refurbished bathroom, separate toilet and a fabulously renovated open plan living/dining/kitchen which enjoys all day sun and opens onto a deck with commanding views. The home retains many original features including lead light windows, timber mantles, picture rails and brick fireplace (with wood heater). In recent years the home has been re-roofed with associated insulation, been rewired and has had kitchen and bathroom areas refurbished, along with the installation of a Fujitsu reverse cycle heater/cooler. The costly internal hard work has been completed, and there is further scope to enhance via cosmetic upgrade. There is ample off street parking, an old garage, good under house storage and separate laundry/workshop. This property occupies a superb position, benefits from all day sun, panoramic views and a large yard. 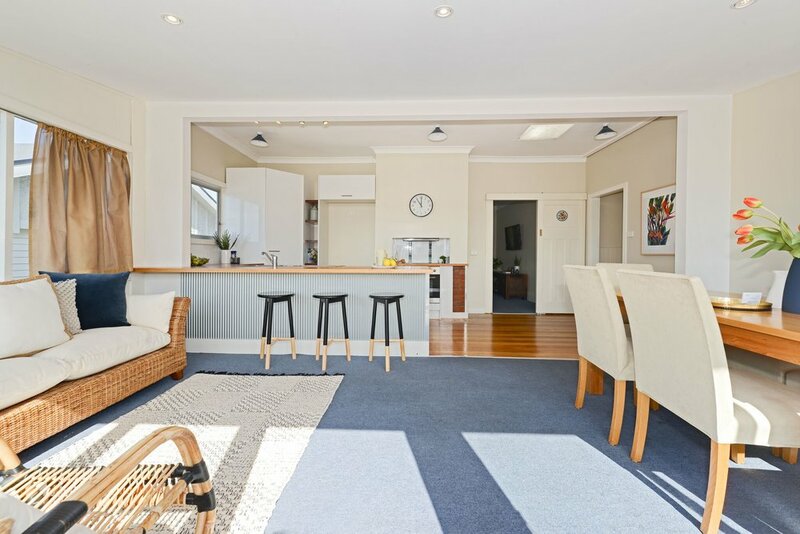 It is very close to UTAS, city, Sandy Bay shops as well as popular Princes Street Primary and leading Secondary Schools. In short, an exceptional location.